Conventional wisdom says that PC performance doesn’t matter anymore. That’s because the average consumer, the average gamer, and the average PC jockey can’t tell the difference between a slow POS machine and a fast one. Well guess what, baby? That’s a bunch of crap. The truth is, the average gamer can tell the difference between a slide show and 110fps. The average consumer knows that a five-minute boot isn’t good and the average PC jockey really doesn’t like to wait five hours to encode a video. It’s not that they can’t tell the difference, they’ve just resigned themselves to the changing personal computing landscape, buying into the malarkey that portability and “ the cloud ” trump speed and power. Well, not us. As power users our aspirations for an ever-more-capable, barrier-busting desktop rig never falter. 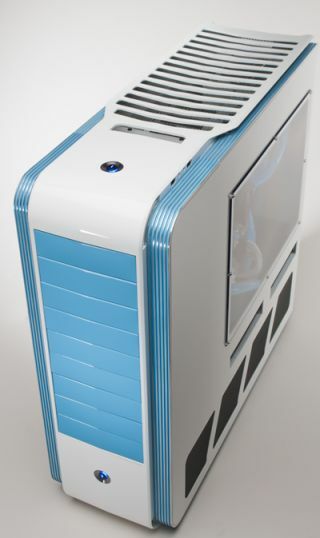 For you, for us, and for all the PC enthusiasts who still give a damn, we present a preview of the utopia we envision: Dream Machine 2012 . This rig is lovingly crafted to be our most elegant Dream Machine yet, without compromising the thing that matters most: performance.